Phoenix’s gender identity is affirmed at home but she is worried about wearing a dress to school. Her supportive mother helps her process her anxiety and find the confidence to be herself. Once at school, Phoenix is accepted by her peers and makes many new friends. I love Davey’s warm and whimsical illustrations. Each two-page spread is washed in a different colored and textured background which subtly sets the tone for the story. 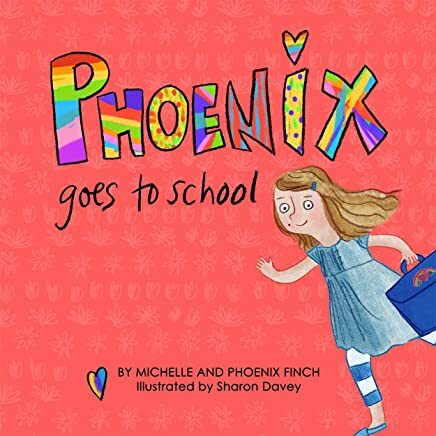 Although this book focuses on transgender experiences specifically, it is a sweet read for any young child with anxiety about being different. Back matter for adults provides information on gender diversity, and a wonderful set of discussion questions for children is included. This is a fantastic #ownvoices addition to the slowly but steadily growing field of transgender and gender non-comforming children’s literature currently available.